A snake charmer threatens to wrap a cobra around my neck. “La shokran!” (no thank you) I manage to squeal. The town square pulsates with activity – acrobatic entertainers, fortune tellers, Berber musicians; it feels like one huge carnival. 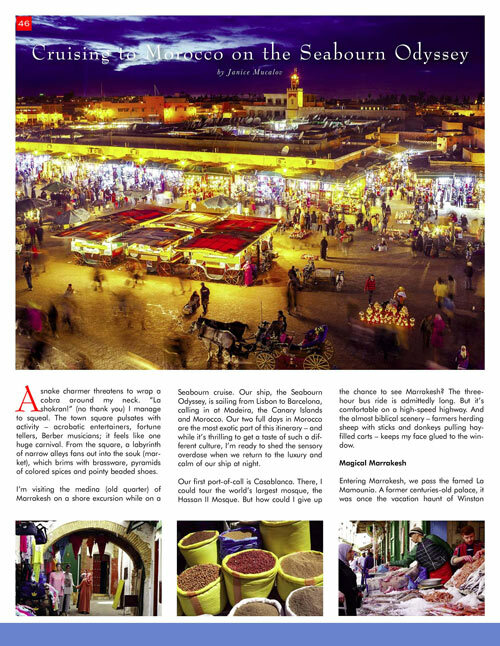 From the square, a labyrinth of narrow alleys fans out into the souk (market), which brims with brassware, pyramids of colored spices and pointy beaded shoes. Marrakesh or Casablanca? Which is better? I’m visiting the medina (old quarter) of Marrakesh on a shore excursion while on a Seabourn cruise. Our ship, the Seabourn Odyssey, is sailing from Lisbon to Barcelona, calling in at Madeira, the Canary Islands and Morocco. 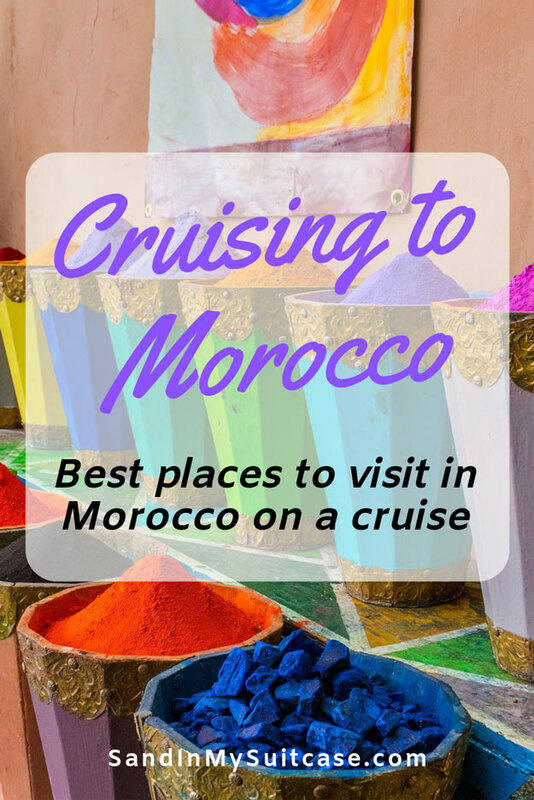 Our two days in Morocco are the most exotic part of this itinerary – and while it’s thrilling to get a taste of such a different culture, I’m ready to shed the sensory overdose when we return to the luxury and calm of our ship at night. 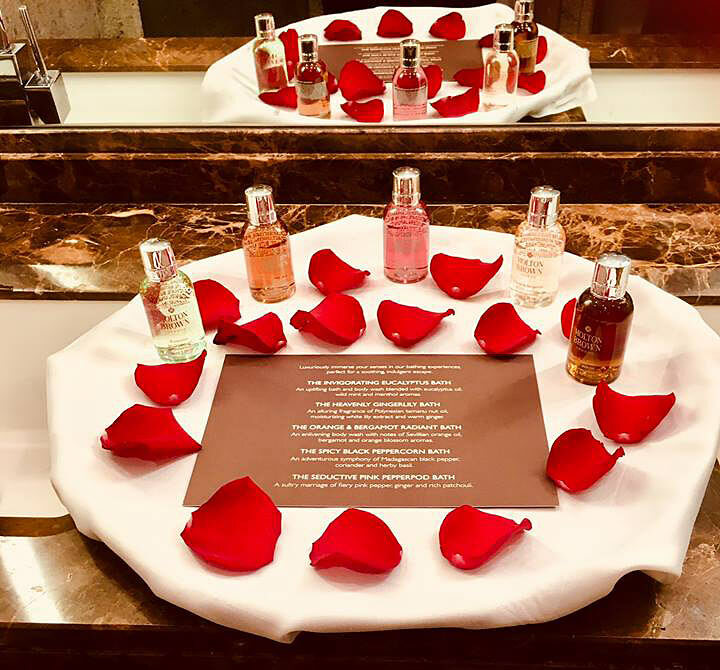 See our review of the luxurious Seabourn Odyssey! 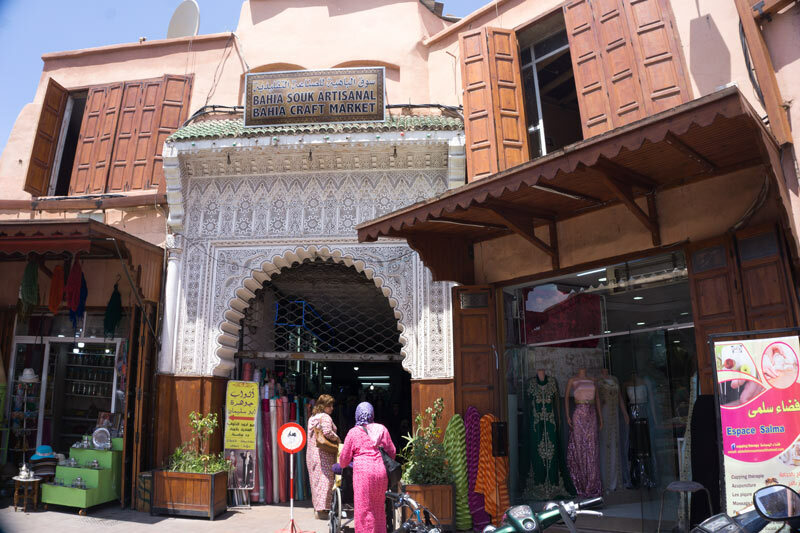 Our Morocco cruise ports are two of the most popular places to visit in Morocco: the cities of Casablanca and Tangier. Our first port-of-call is Casablanca. 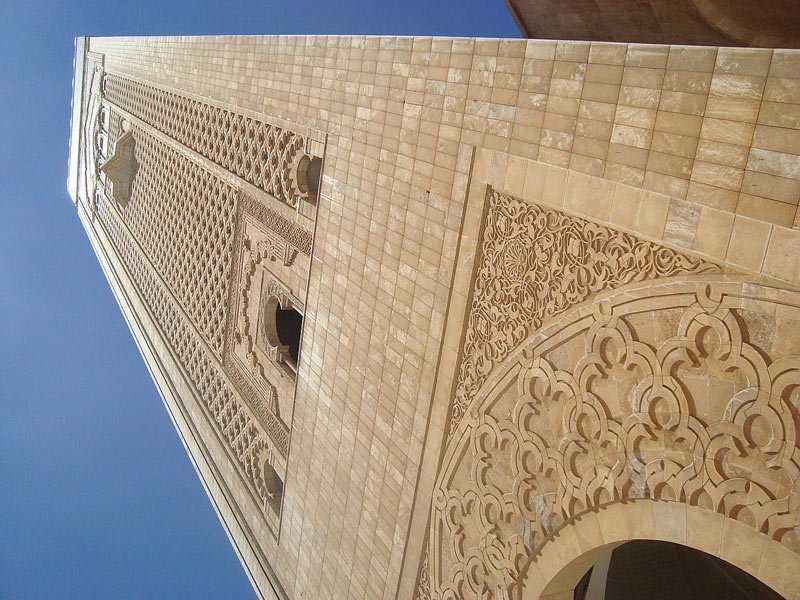 There, I could tour one of the world’s largest mosques, the Hassan II Mosque. But how could I give up the chance to see Marrakesh? Luckily in Tangier, our second port-of-call, I don’t have to make a choice about what place to visit. 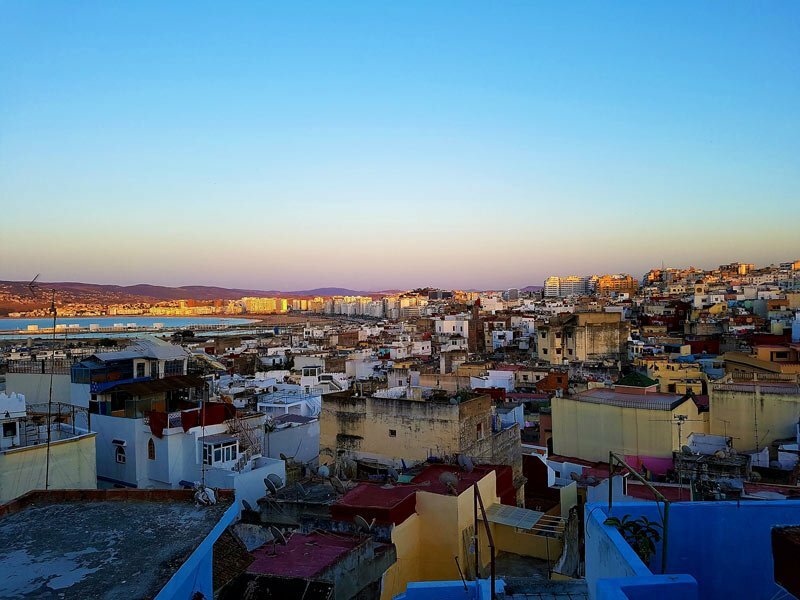 Our full-day excursion takes in both Tangier plus Tetouan, a lesser-known but very historical city. Most visitors say that, apart from the Hassan II Mosque (which is said to be gorgeous), there’s not too much of interest in Casablanca. 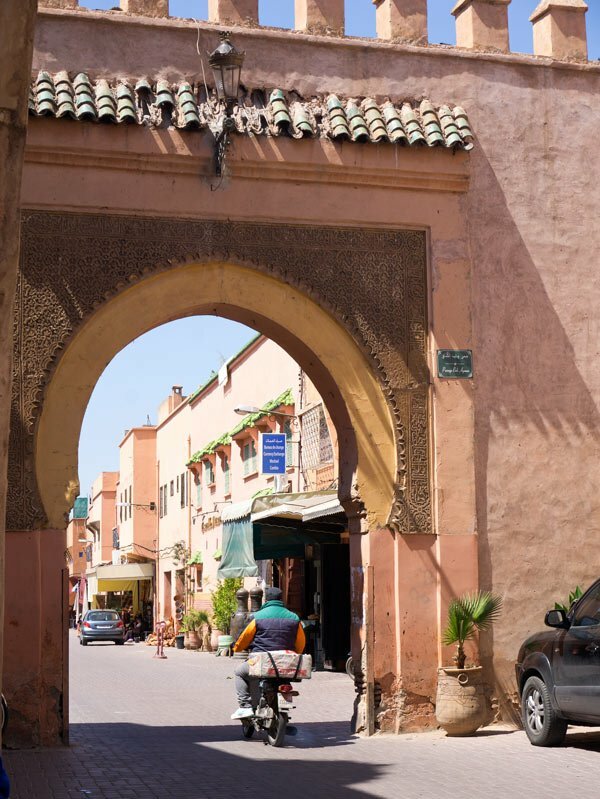 Driving through Casablanca – a busy, ordinary-looking city with grimy white buildings – I’m glad we’ll be spending the day in Marrakesh instead. 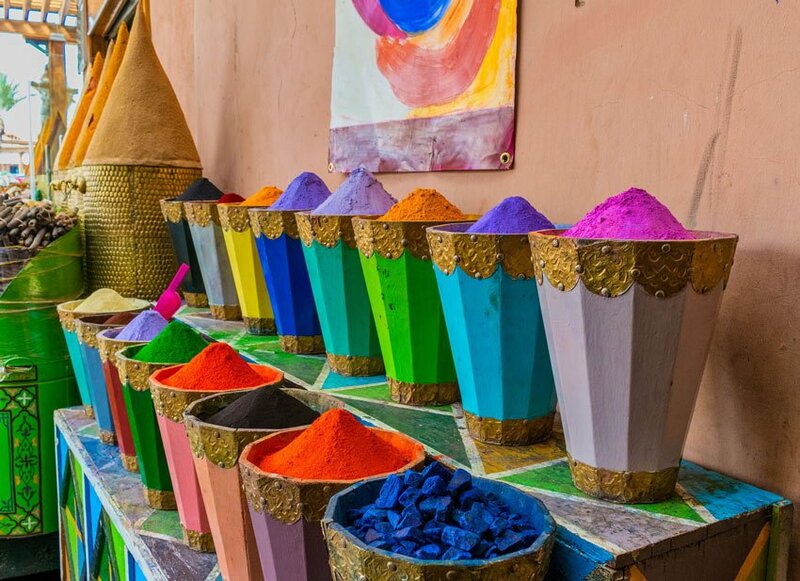 One day in Marrakesh – magical! From Casablanca, the three-hour bus ride to Marrakesh (also spelled “Marrakech”) is admittedly long. But it’s comfortable on a high-speed highway. And the almost biblical scenery – farmers herding sheep with sticks and donkeys pulling hay-filled carts – keeps my face glued to the window. Entering Marrakesh, we pass the famed La Mamounia. A former centuries-old palace, it was once the vacation haunt of Winston Churchill, who declared Marrakesh the “last paradise on Earth.” Though it’s now one of the world’s most exquisite hotels, its façade is relatively unassuming; I wish we had time to peek inside. And then, we see it – the huge red brick walls of the medina. They stretch almost 12 miles around the old city, soaring up to 40 feet high. Whatever the explanation, it’s obvious pigeons like to roost in them. 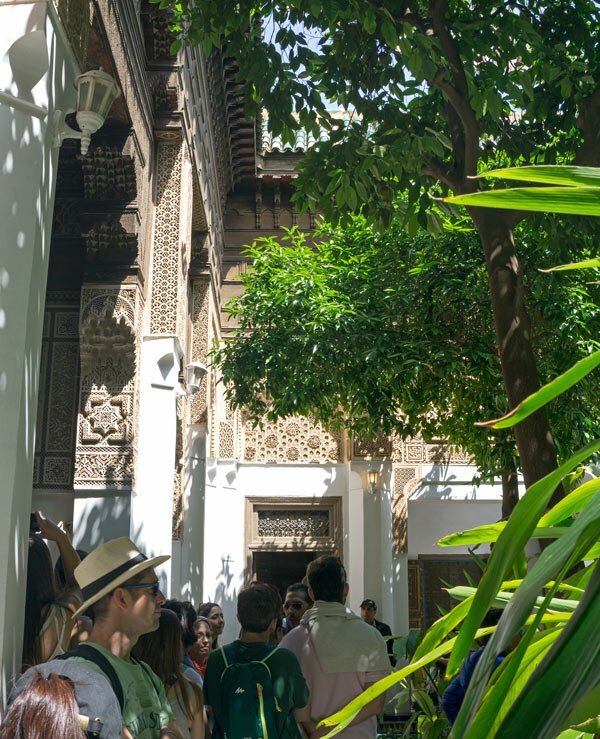 Once inside the Marrakesh Medina, our group leaves the bus for the 19th century Bahia Palace. Commissioned by Si Moussa, a slave who became a sultan’s powerful Grand Vizir, the palace is a mind-boggling tangle of some 160 rooms. At the intricate ceilings with their painted inlaid woodwork? At the floors? They’re decorated with hand-made tiles, colored blue, mustard, green and white to represent the four seasons. At the trickling fountains and gardens blooming with orange trees? 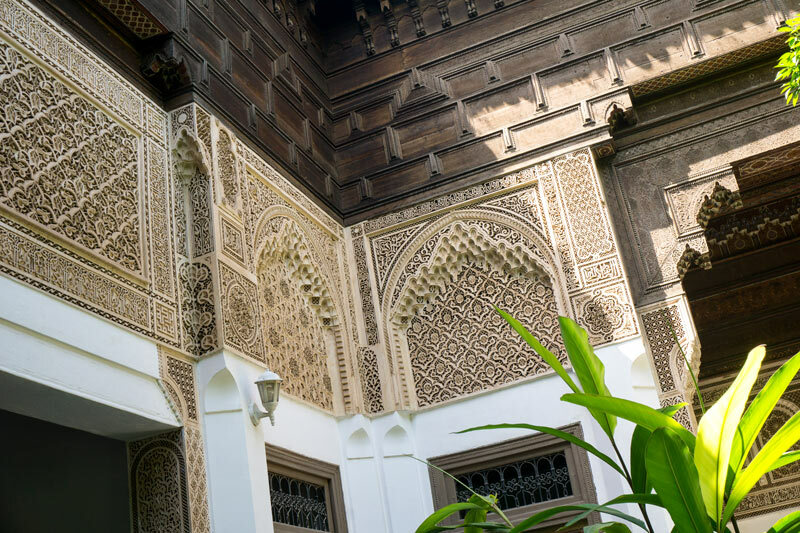 The name Bahia means “brilliance” in Arabic, and the ceilings of the Bahia Palace are certainly brilliant! 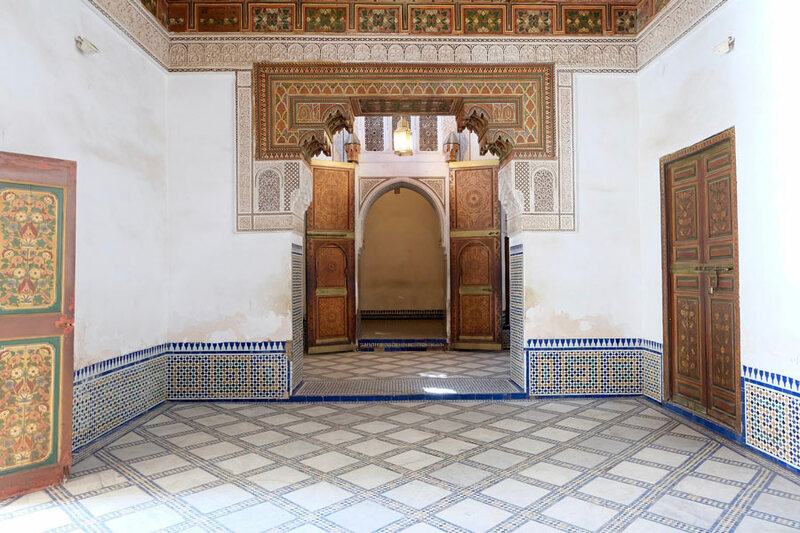 Off one courtyard, four doors lead to four rooms, one for each of the wives of Si Moussa’s son. I note that the favorite wife’s room is bigger and has a higher ceiling. If only the furnishings were still around; unfortunately, when Si Moussa’s son died, his wives and sultan snatched the art and valuables to adorn their own palaces. I’d like to dawdle and soak up the atmosphere but lunch awaits. We’re escorted to Hotel Dar Rhizlane hotel for lunch in its fountain-filled garden courtyard. I feel like Scheherazade as we dine on course after course of salads, couscous, fragrant lamb tagine and almond delights, finishing off with mint tea. After, we’re taken to a Berber pharmacy to sample genuine Moroccan oil skin and hair products. This part of the souk looks quite civilized! 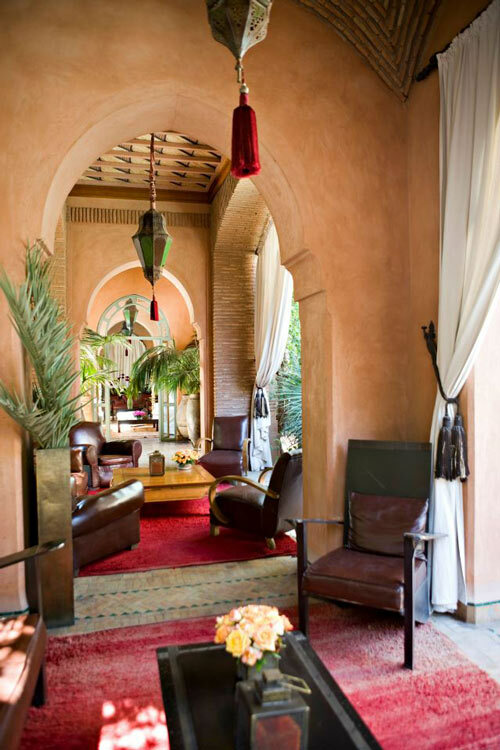 Where to stay in Marrakesh? So you’re thinking you might just like to return to Marrakesh and stay for a while? Good idea! 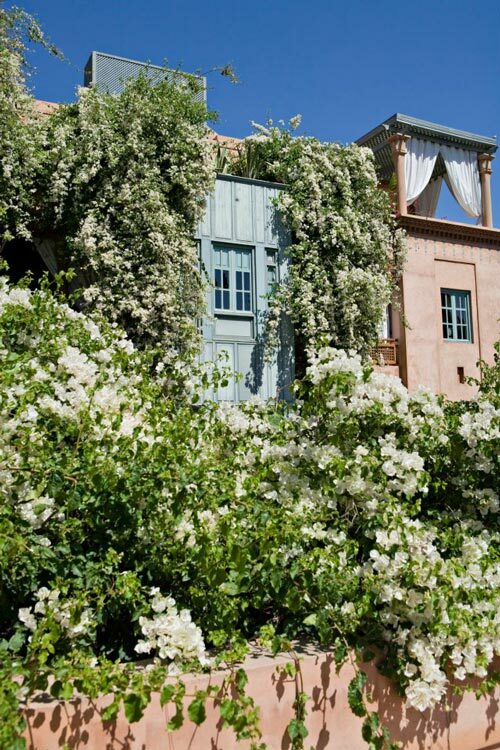 Two of the best hotels in Marrakesh are La Mamounia and Dar Rhizlane. Dar Rhizlane has just 20 rooms in two honey-colored villas, set amid manicured lawns, white bougainvillea and ponds with floating lilies. The rooms are beautiful; each boasts its own private garden or terrace. When not exploring the charms of Marrakesh, a zellij-lined swimming pool, surrounded by cushioned sunbeds, is perfect for chilling in the heat of the afternoon, mint tea in hand. Book Dar Rhizlane on Booking.com! Pssst! If you book Dar Rhizlane (or other hotel) on Booking.com through our site, we’ll earn a small commission – at no cost to you. Thanks! Not unusual on Seabourn. The line, which is famous for its unlimited complimentary champagne and caviar, is also known for its exceptional service. Jen tells us about her surprise treat the next morning as we leave for our tour of Tangier (our second Moroccan port-of-call) and Tetouan. 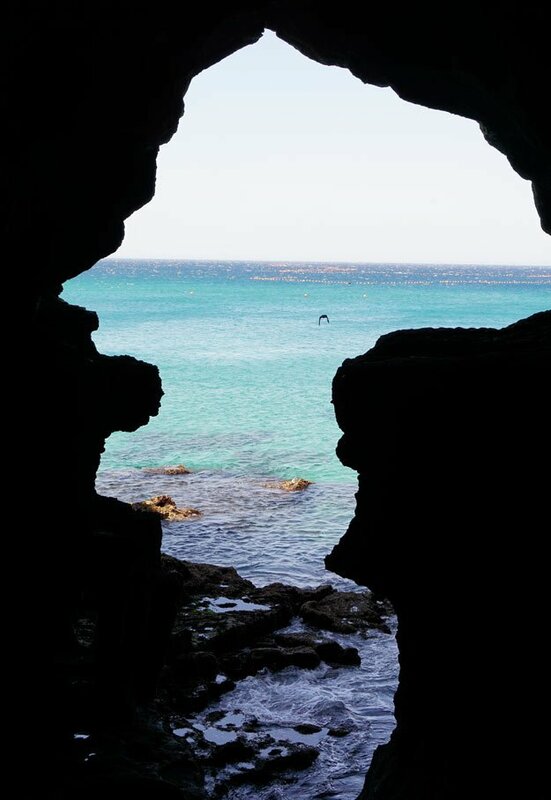 In Tangier, we first drive past villas owned by Arabic magnates – eye-popping in their opulence – then stop at the Caves of Hercules. 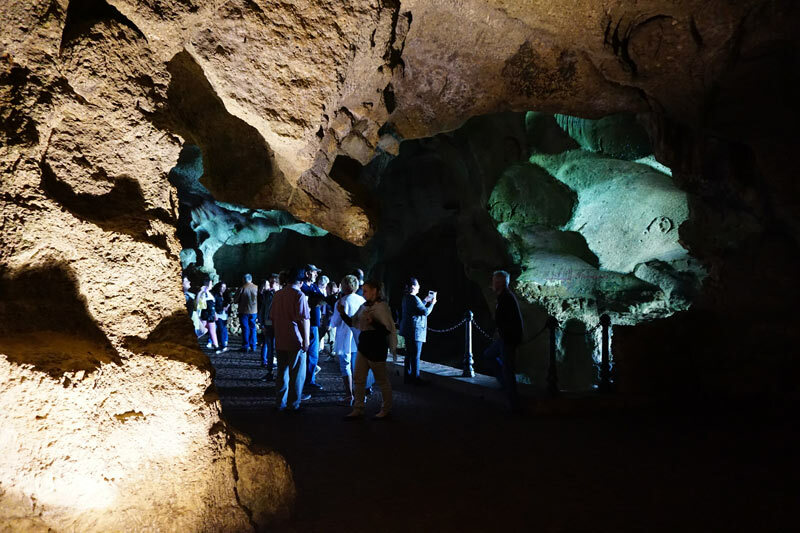 According to Greek mythology, the demigod Hercules is said to have rested here in these caves after finishing his 12 labours. An astonishing large gap in the rock wall is the highlight of the main cave. It’s perfectly outlined in the shape of a reverse Africa; looking through, I marvel at the breathtaking view of the blue sea beyond. 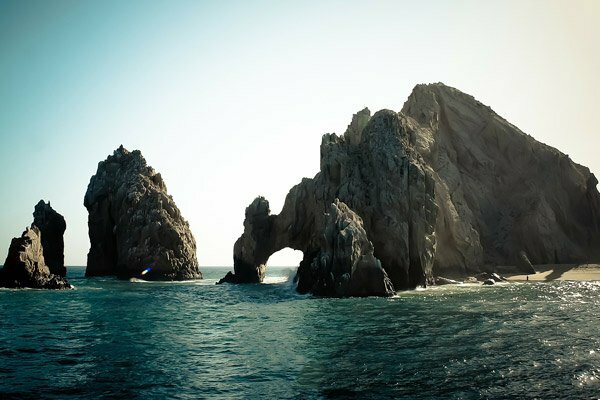 There are also fascinating inscriptions made by early Phoenicians on the rock walls, believed to be maps of the surrounding area. Then we drive an hour through green hilly fields to Tetouan. One of the oldest cities in Morocco, Tetouan receives far fewer international tourists than Marrakesh. And so we follow him single file, sticking to each other like glue as we navigate the souk. A kaleidoscope of psychedelic scenes rapidly unfolds one after the other – live chickens, cobblers hammering shoes, sardines on ice, colorful veggies and even goat heads hanging on hooks. 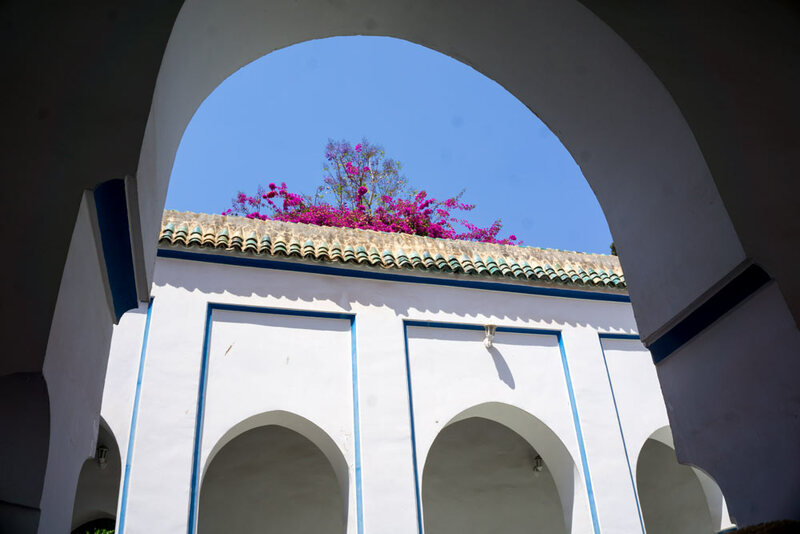 Check out these photos of Morocco’s colorful Tetouan Medina! Later that evening on the Seabourn Odyssey – over a fine dinner of Dover sole meuniere in the specialty Thomas Keller Grill restaurant, washed down with a New Zealand Sauvignon Blanc, of course – I chat with my mother (and cruise companion) about our brief introduction to Morocco. 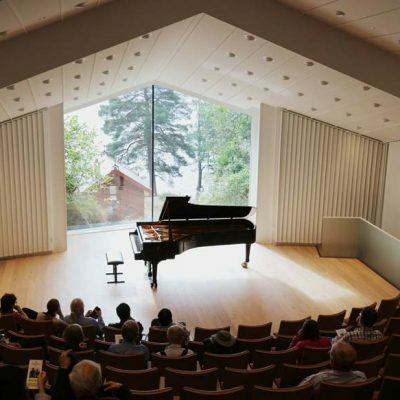 The excursions involved two long days. But visiting Morocco has been a highlight of our Seabourn cruise. Now we look forward to the next day’s adventure. 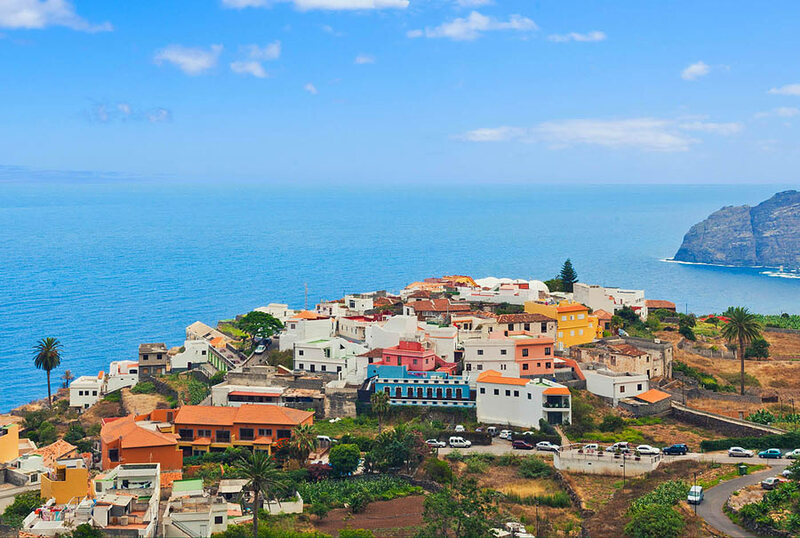 We also saw the secret side of the Canary Islands on this cruise. Read next! Seabourn is a luxury cruise line with five, small, all-suite ships. 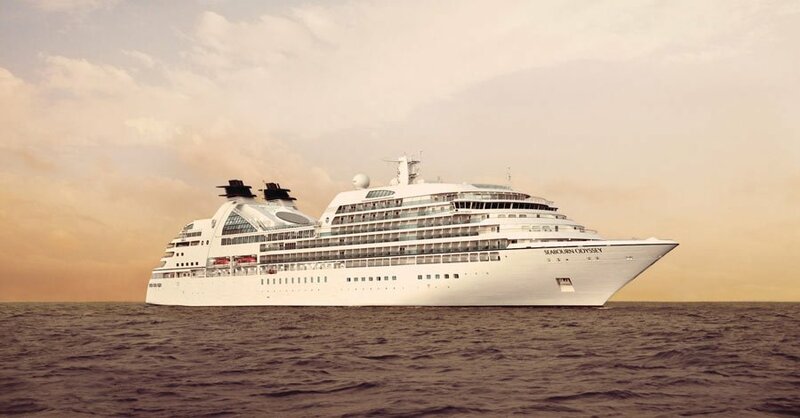 Seabourn Odyssey carries 458 guests. Specialty dining, WiFi, liquor and 35+ premium wines are included complimentary in the rates. 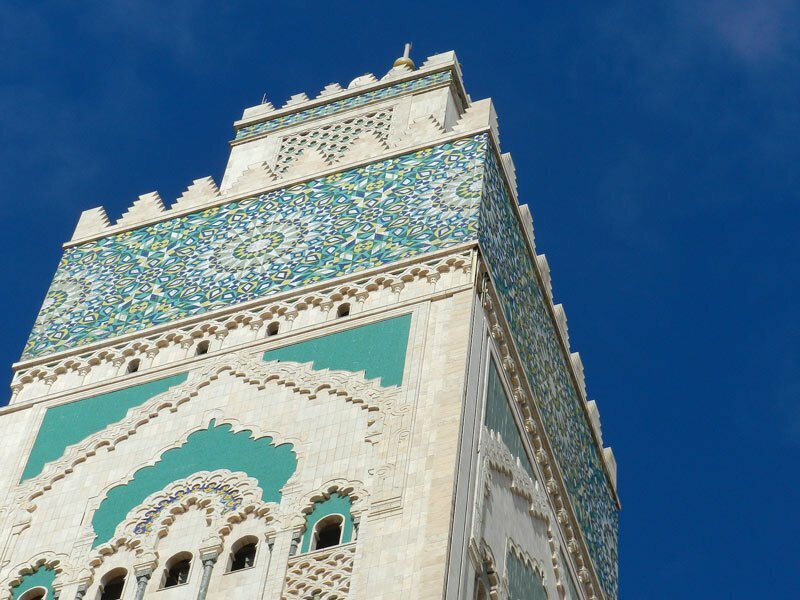 Several of its Western Europe itineraries call in at both Casablanca and Tangier. 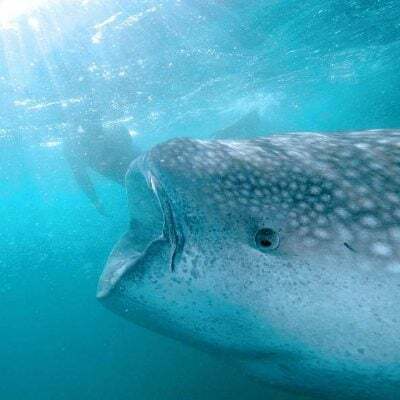 For more information, check out Seabourn’s website. The Independence of the Seas visits Agadir, Morocco, on various “Canaries and North Africa” cruises. In Agadir, you can rock the 1541 kasbah (citadel) and visit the souk. 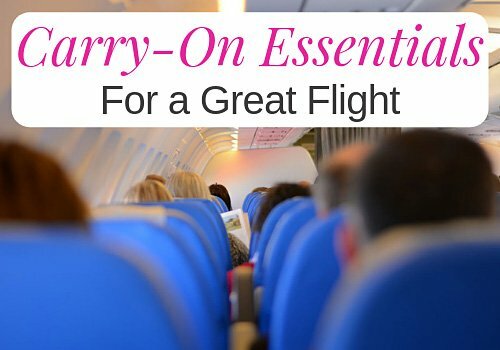 See Royal Caribbean’s website for details. The line that gives you cruising with an Italian flair – MSC Cruises – includes a day in Casablanca on several cruises that dock in Spain, Italy and France. 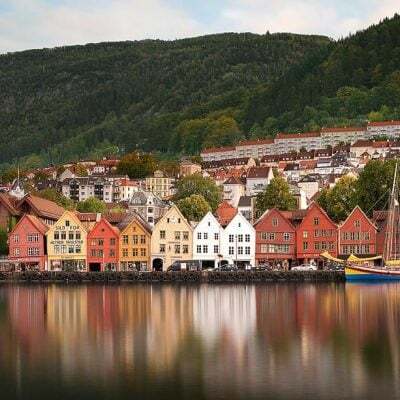 MSC Orchestra, for example, offers 13-night roundtrip cruises from Barcelona in October; MSC Preziosa sails from Marseille on 9-night trips in November. 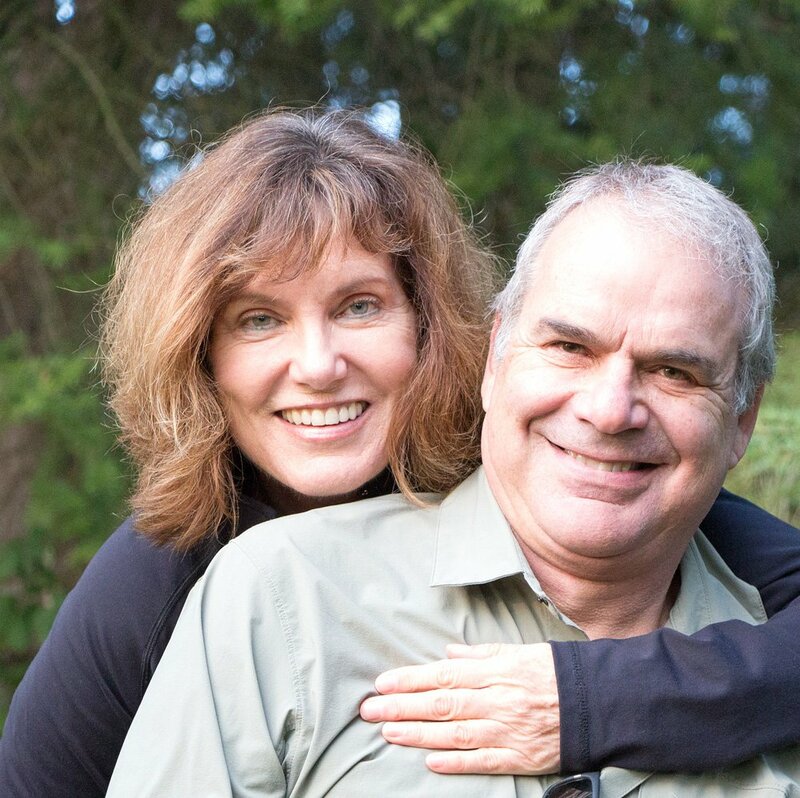 A version of this travel article was published in Canadian World Traveller magazine. Click on the image below to see a PDF. 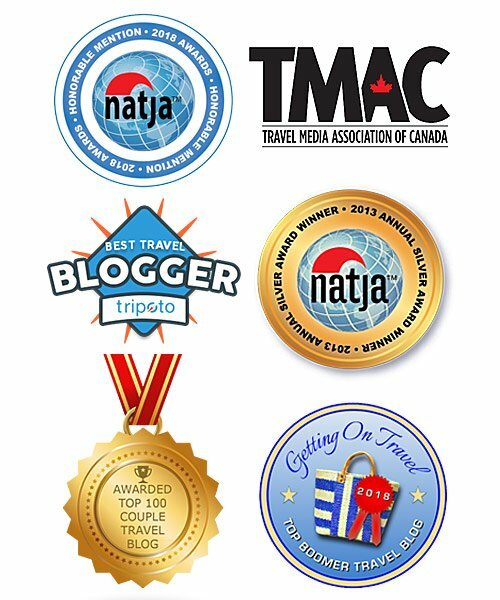 Pin this to your amazing Morocco or Cruises board!